Telomeres are complex and dynamic structures whose functions and composition change during the cell cycle and development. Telomeric transcripts are essential components of telomeres. Transcription regulation and cellular levels of telomeric RNAs are closely associated with the control of telomere length, formation of telomeric chromatin, telomere replication, and regulation of non-telomeric gene transcription, which indicates a critical regulatory role of telomeric RNAs in telomere protection and transmission of signals about the state of telomeres to cellular genes. The studies of telomeric transcriptome in early Drosophila development have revealed a new level of genomic stability regulation involving telomer-ic RNAs. Due to their ability to interact with multiple proteins and to translocate in the cell, telomeric transcripts are impor-tant participants of telomeric signaling pathways, whose mechanisms are still to be understood at the organism level. Russian Text © M. Yu. 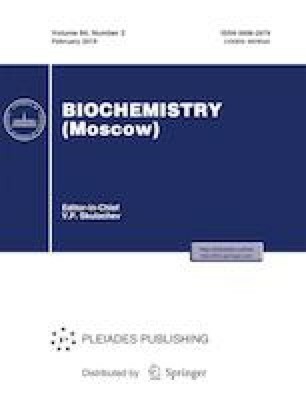 Kordyukova, A. I. Kalmykova, 2019, published in Biokhimiya, 2019, Vol. 84, No. 2, pp. 212–222.